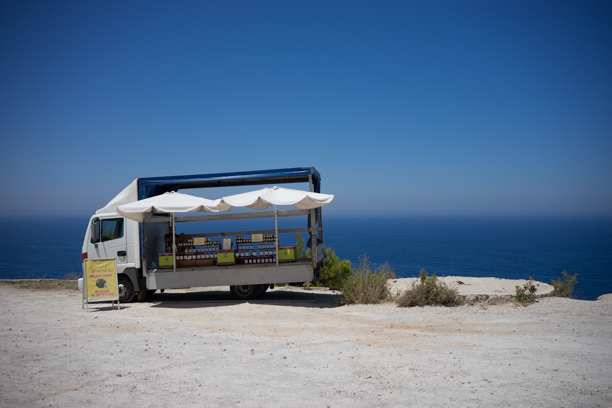 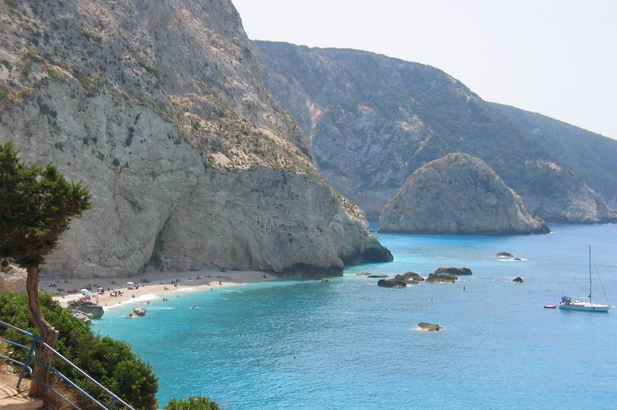 Byron’s wonderful Ode to the Isles of Greece picks out the extreme westernmost point of the island, where the range of white cliffs dropping down to turquoise water and white sands comes to an end. 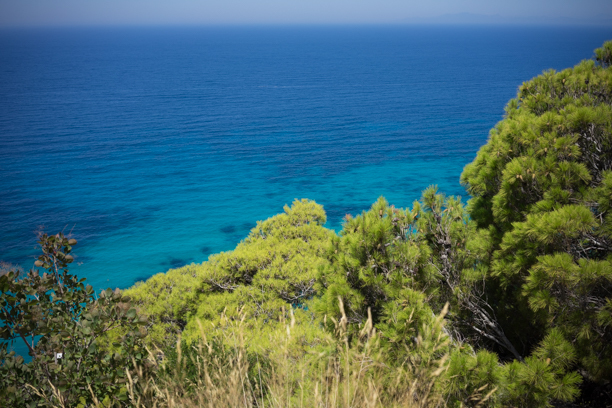 The end of the cliffs, from which the ancient poetess Sappho leaped to her love-lorn death, is now marked with a lighthouse. 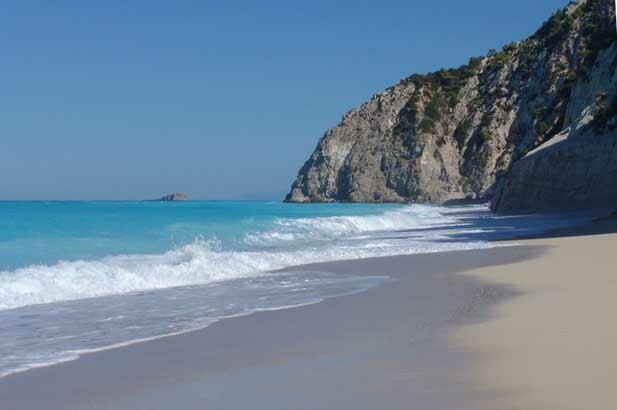 Further along the cliffs, the beach of Porto Katsiki with its powdery white sand and brilliant pale blue water is perhaps the most perfect beach in the Mediterranean. 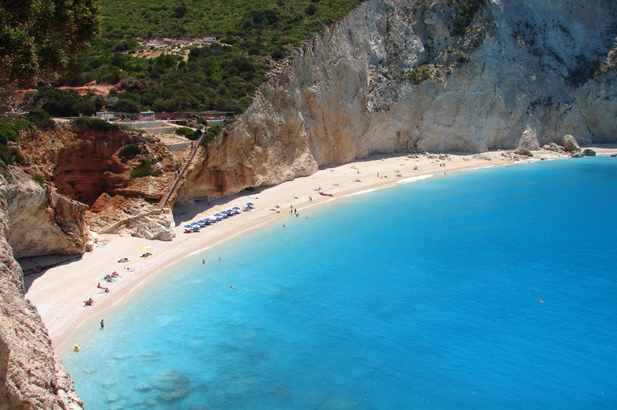 Even though coaches now go there, it is a must. 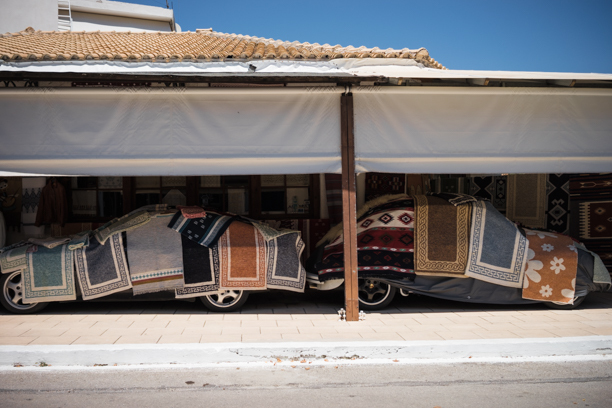 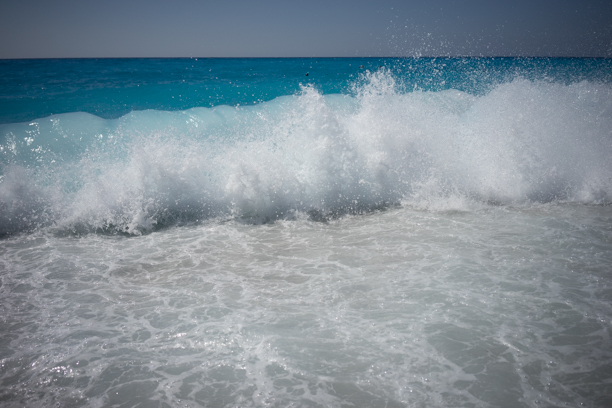 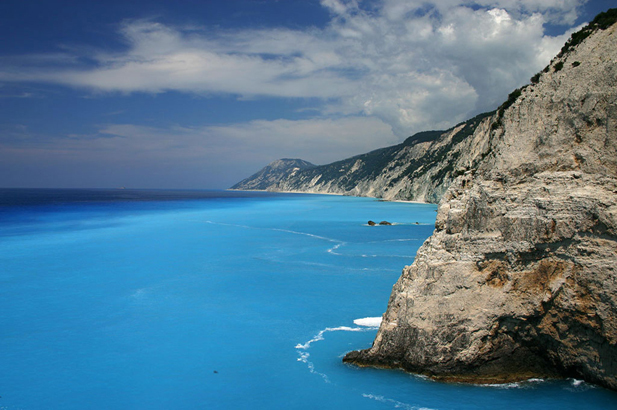 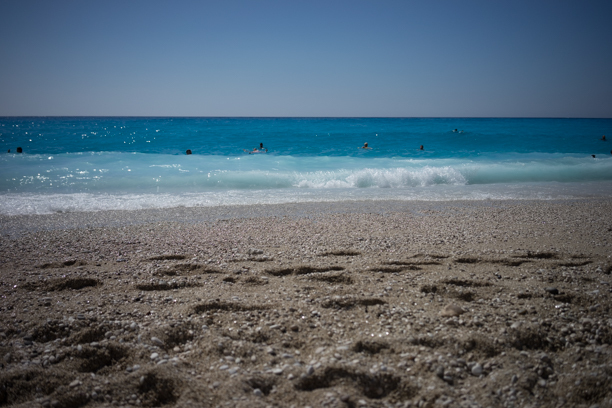 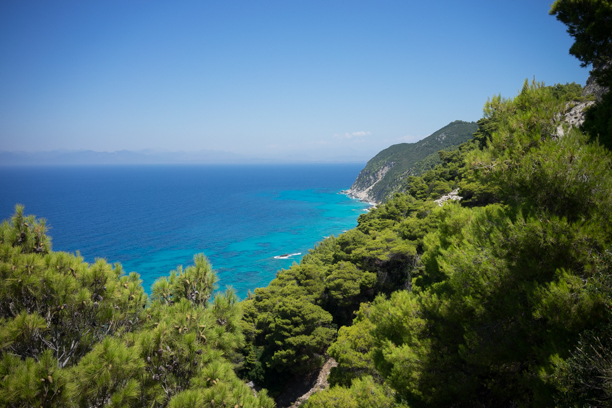 Lefkada has a wild western, cliff-girt coast with the sea rolling in from Italy across the water, lined with huge stretches of long, sandy beaches now accessible by car. 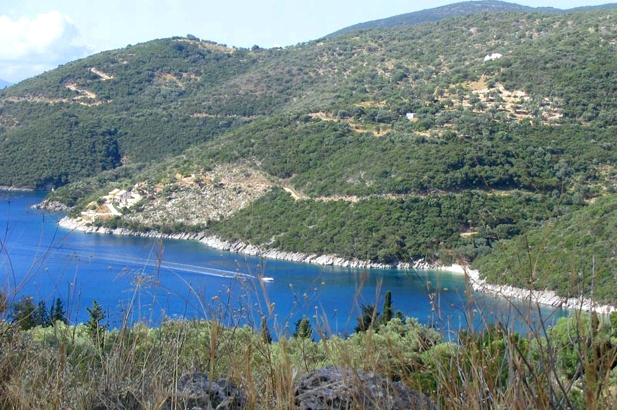 The east coast borders the narrow channel to the mainland and fronts gentle green hills indented with small pebbly coves and calm green water. 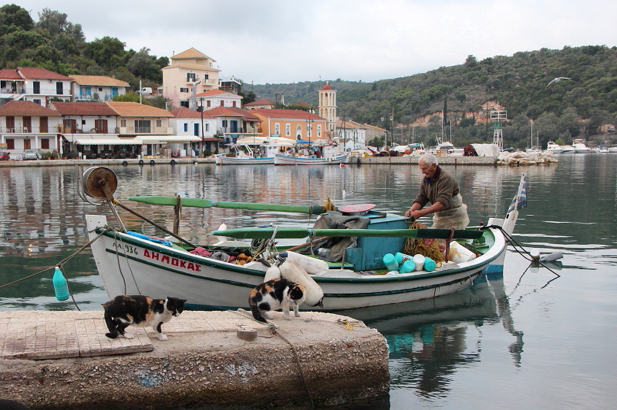 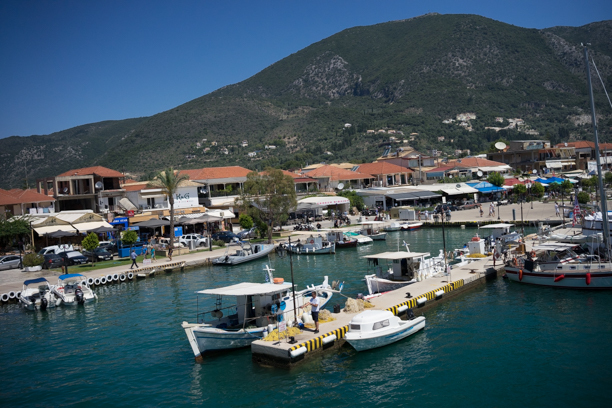 Onassis’ island of Skorpios lies just outside the port of Nidri – a bustling marina and commercial centre for boat hire and excursions. 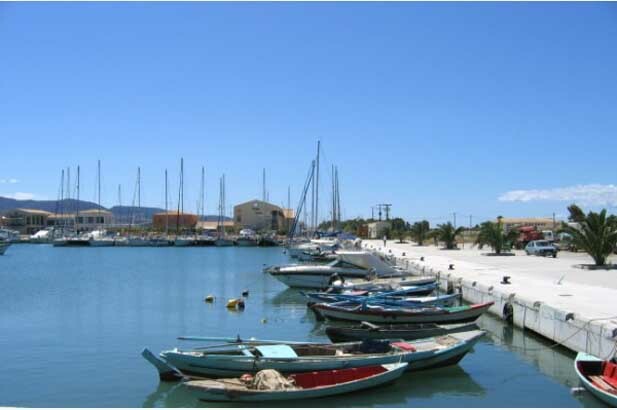 The capital of the island is Lefkas Town which has some beautiful old building in its facade and hosts some excellent bars and restaurants. 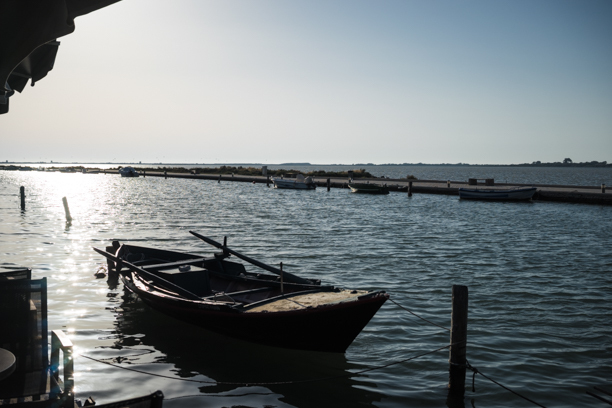 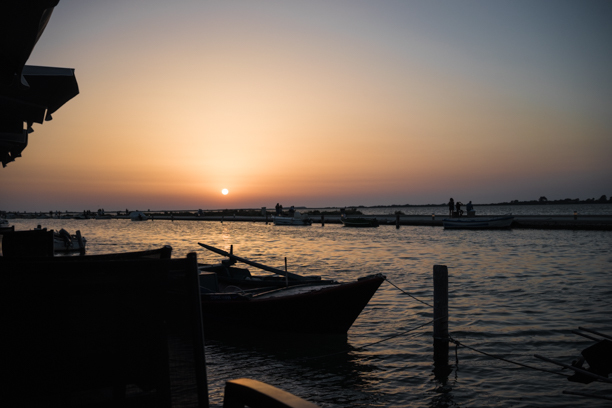 A famous spot for kitesurfing, you can sit by the water at sunset and watch the kites flying across the horizon, silhouetted behind the lagoon. 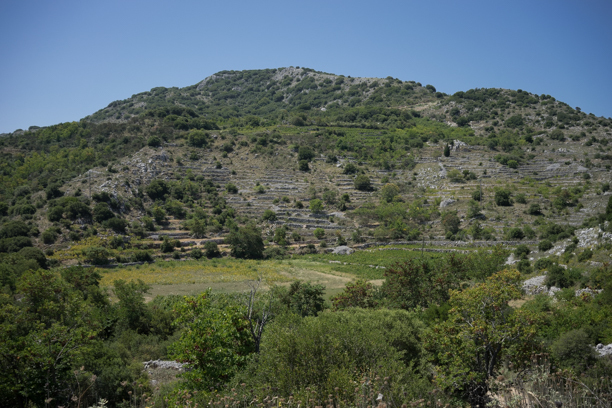 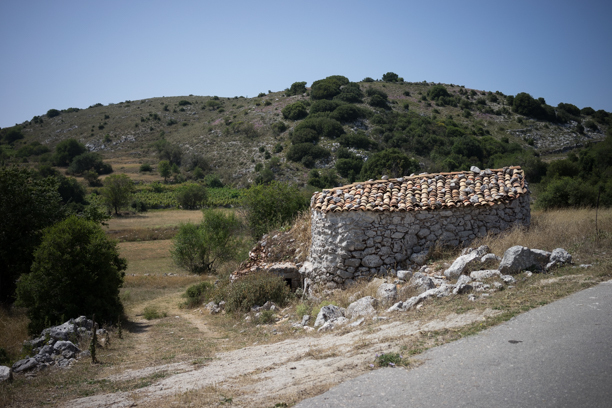 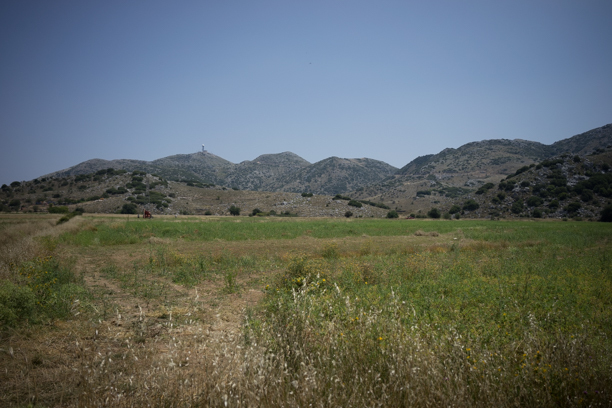 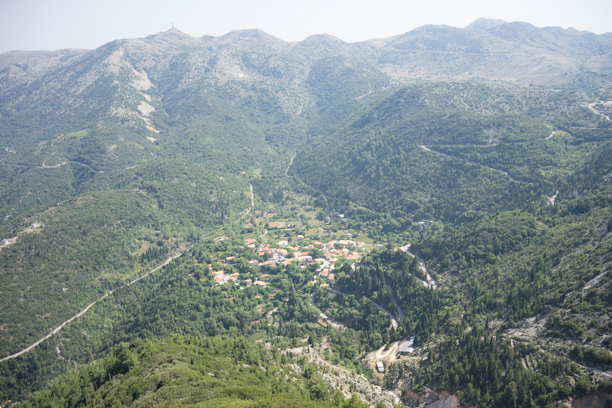 Between the two coasts rise high mountains and fields dotted with small traditional villages. 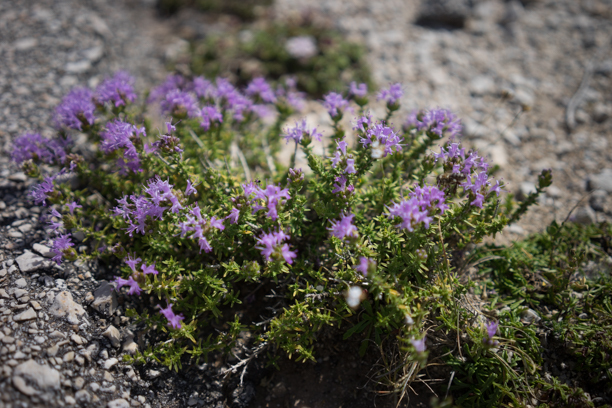 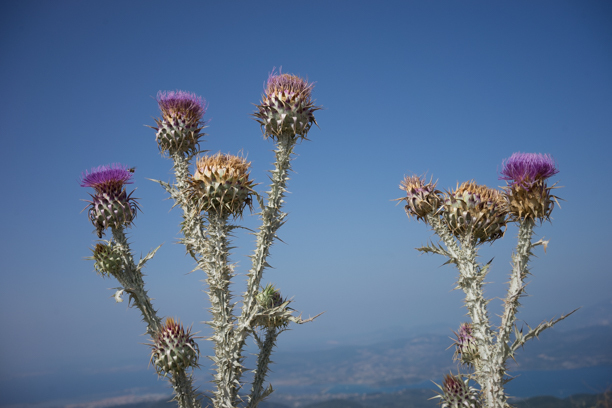 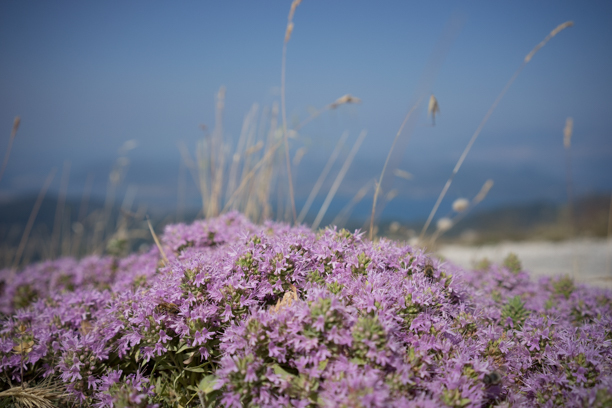 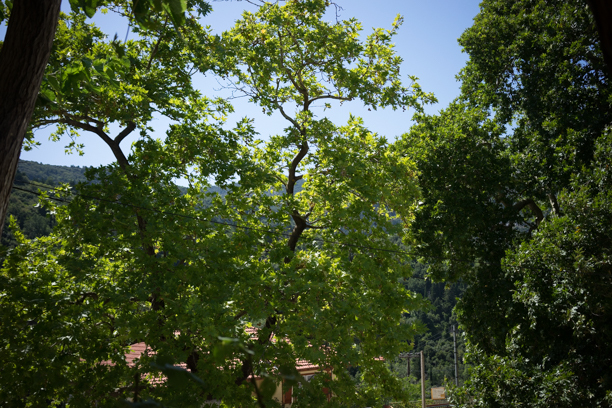 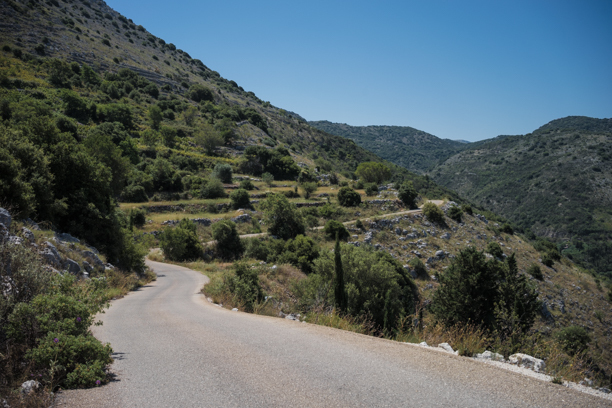 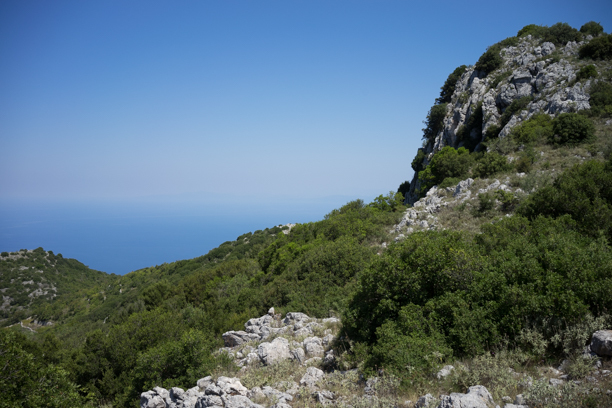 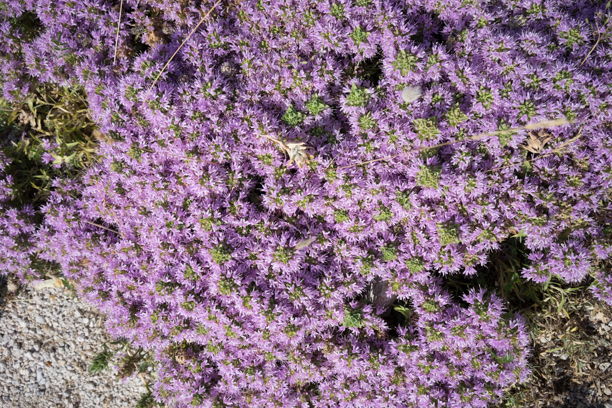 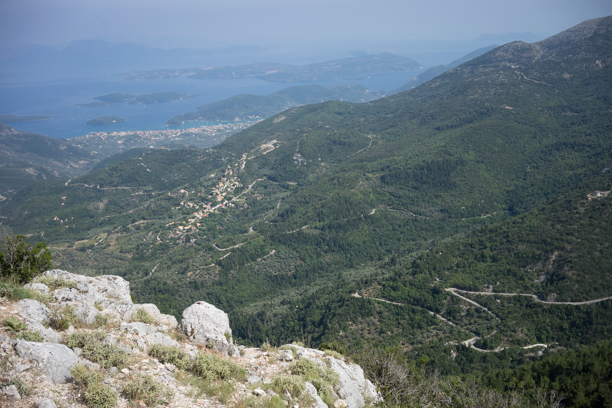 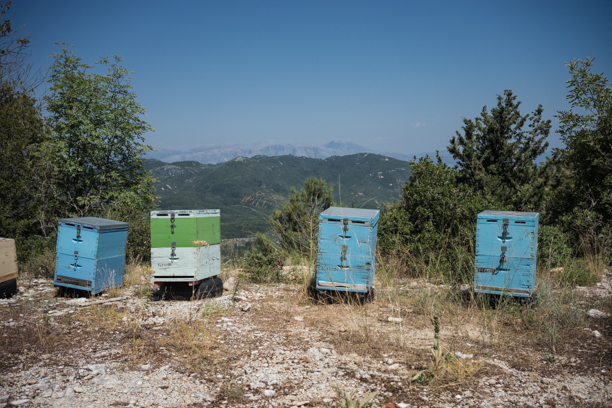 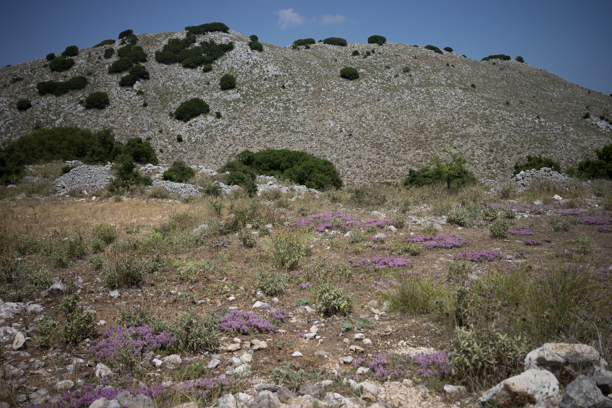 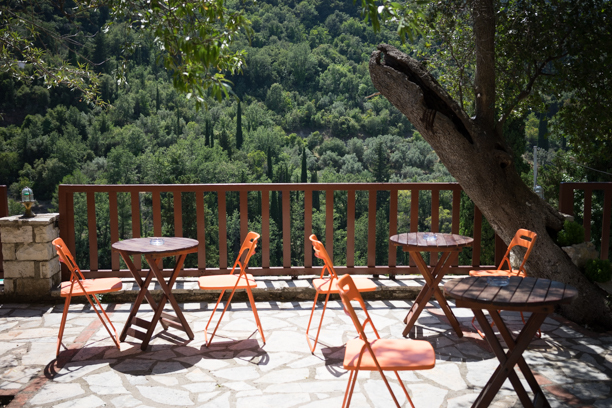 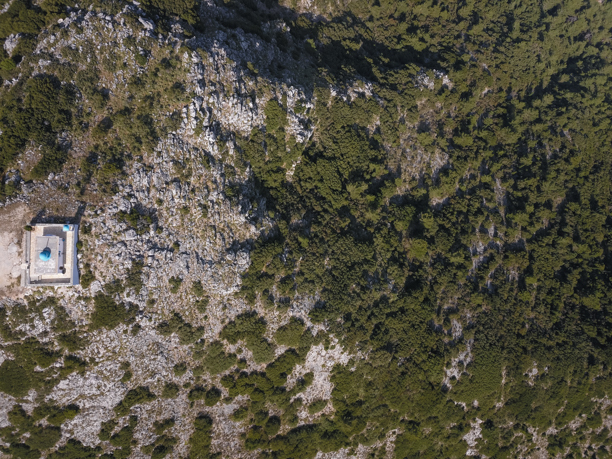 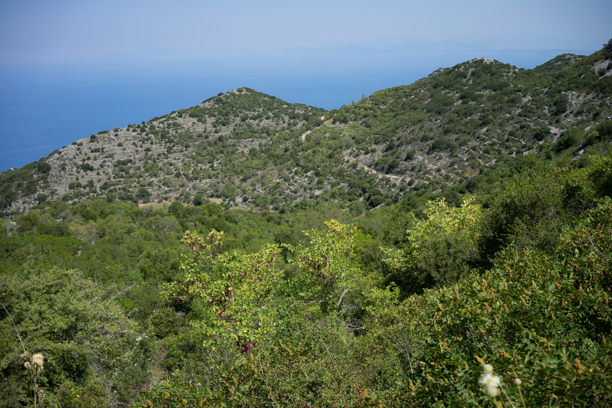 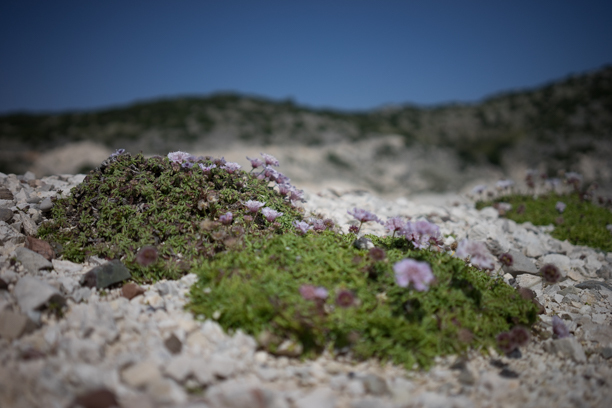 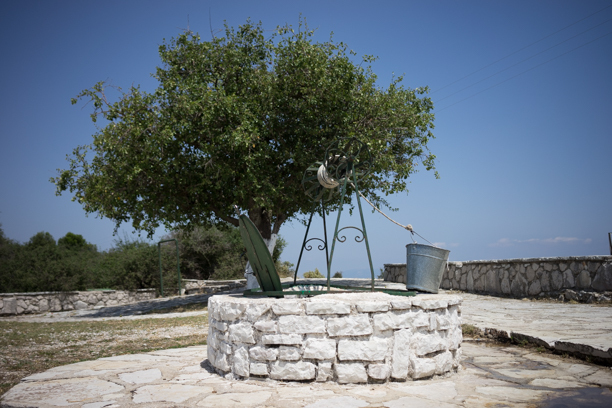 Dramatically set and well surfaced mountain roads littered with wild thyme in bloom connect these little villages offering one of the best road trips in this area of Greece. 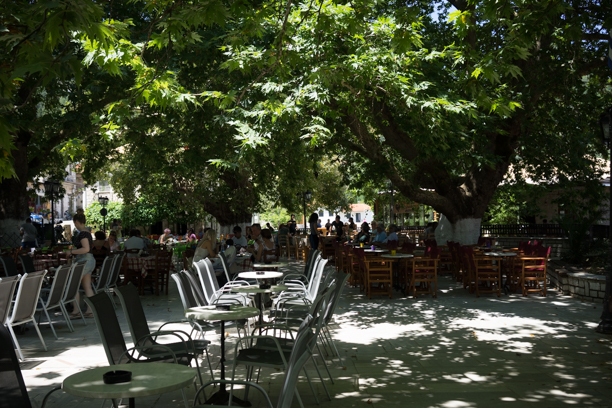 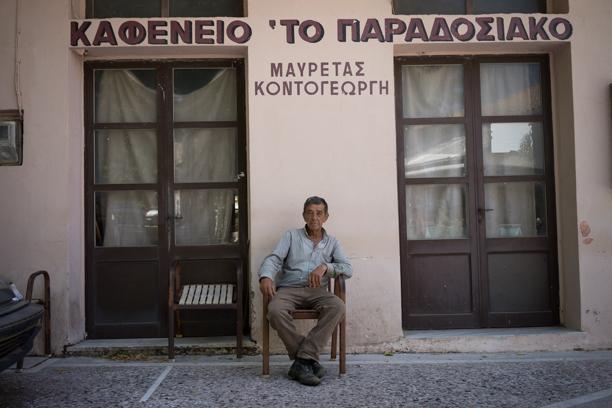 Old men sit in mountain squares, sipping coffee and playing backgammon under the shady canopies of the plane trees while children ride their bicycles. 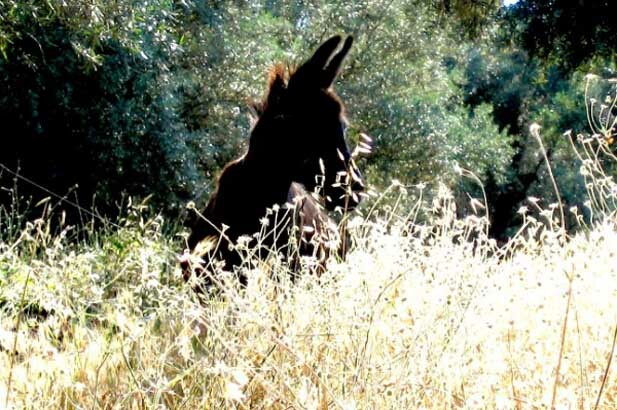 You may still see older women dressed in the brown homespun costume of long skirt and headscarf, while a flock of goats follow an old man on a donkey. 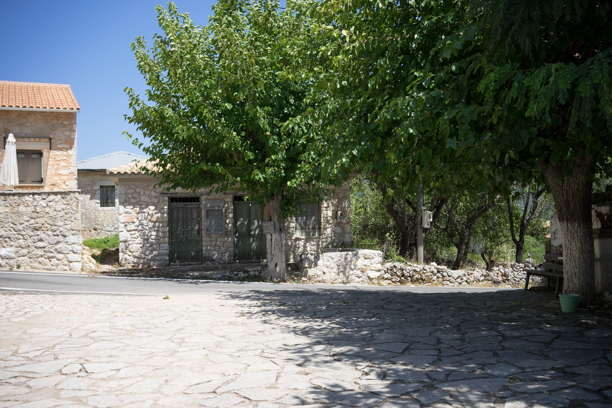 The village of Karya has a wonderful textiles museum which allows visitors a look back in time into the old weaving town and tells the story of a one armed great aunt of the current proprietor who developed a technique to embroider with a single hand after an accident in which she lost the other, and which has since put Lefkada on the map for its beautiful and unique lace embroidery patterns and needlework which they still do in the traditional way today. 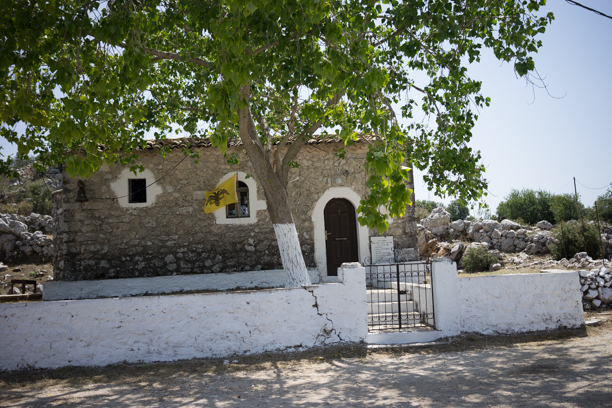 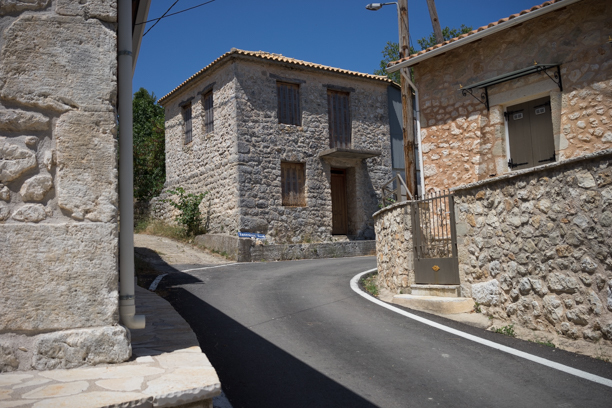 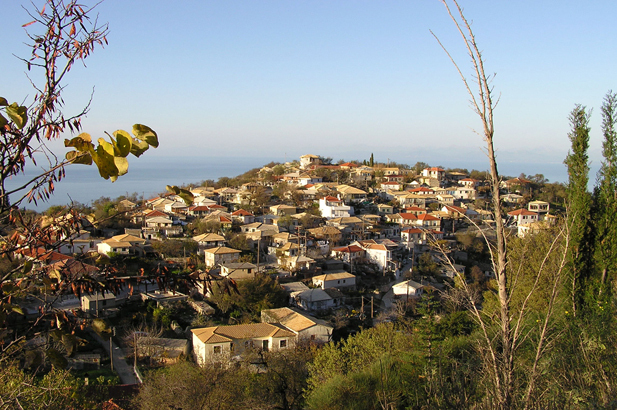 The village of Eglouvi is not to be missed. 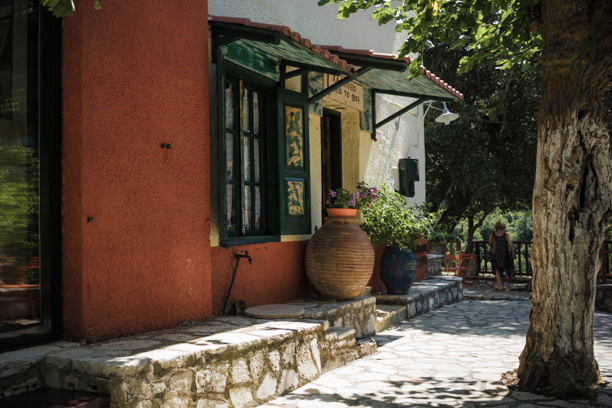 Half an hour’s drive from each coast, this haven of cool serenity offers some welcome respite from the bustling coastal life and heat of mid-summer with the oldest and most traditionally preserved buildings on the island. 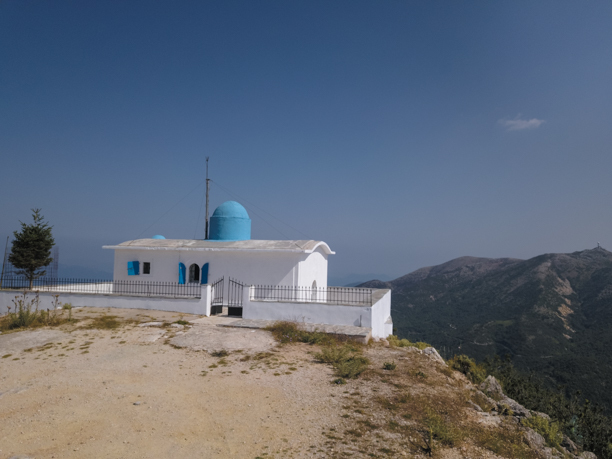 Pretty little windy roads from here lead within 10 minutes to the highest point on the mountain – the monastery of the Prophet Elias. 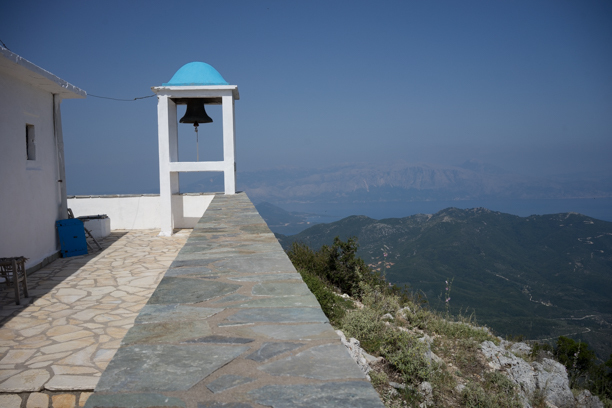 The views from the monastery boast 360 degrees of the whole island and beyond to neighbouring islands and is quite spectacular. 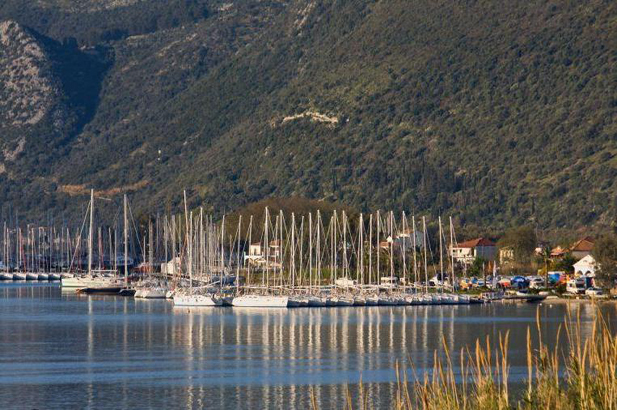 The south coast is a famous centre for windsurfing and dinghy-sailing. 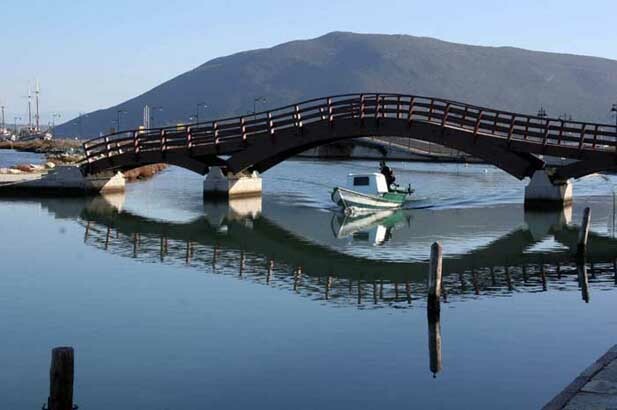 The northern tip has the very useful distinction of being connected to the mainland by a bridge, leaving some people to question whether Lefkada really is an island or not. 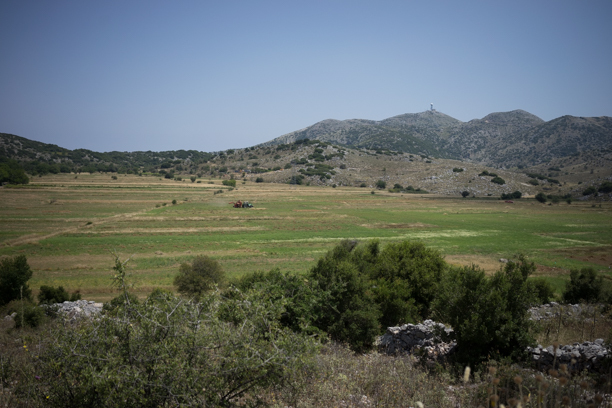 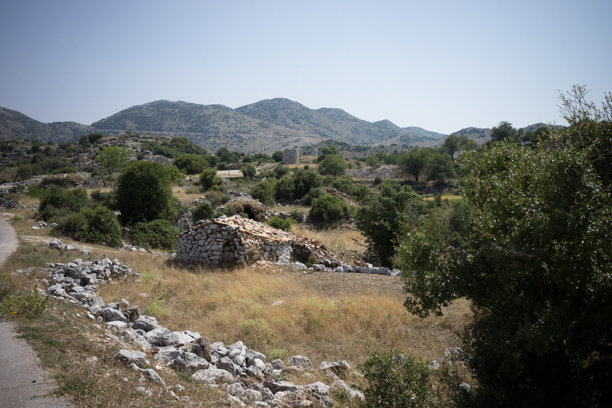 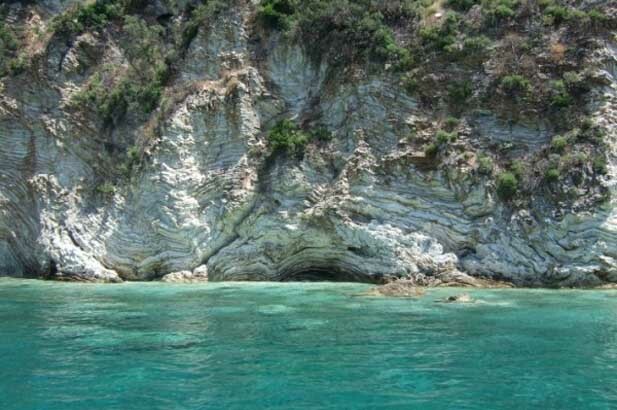 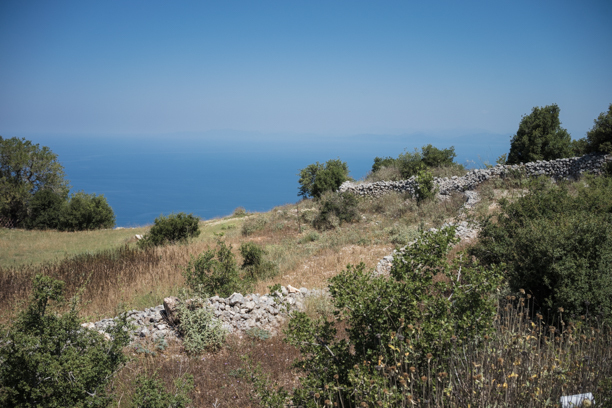 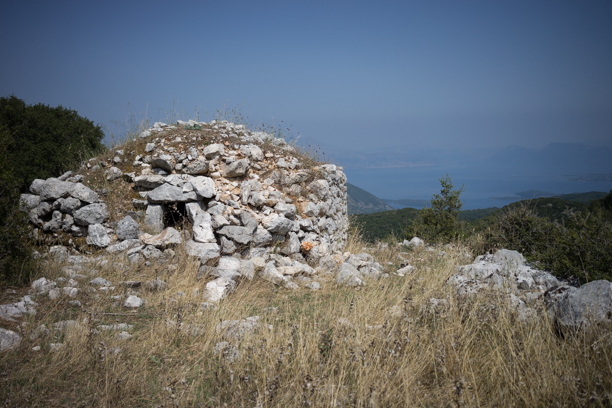 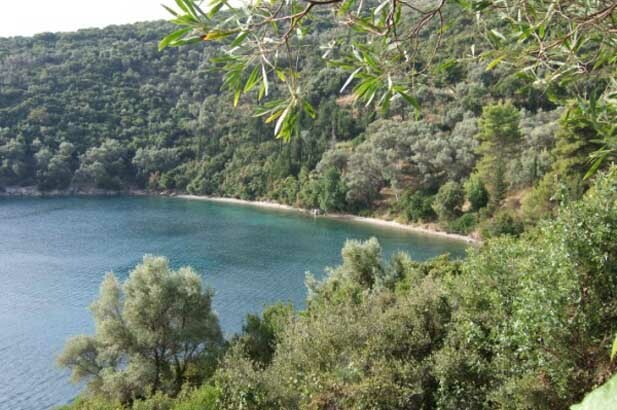 It has a different atmosphere from the rest of the Ionian, having endured the Ottoman occupation for far longer than the other islands, and having been in ancient times actually a part of the mainland for long periods when the narrow channel silted up. 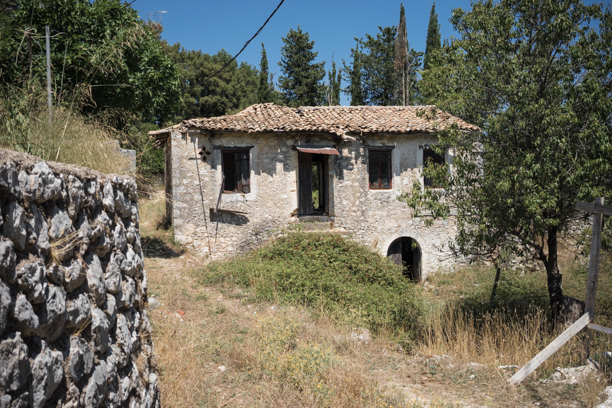 Access to Preveza airport (40 minutes) Thessaloniki (a stunning five-hour drive away) and Athens (six hours) by road mean that tourism here is beginning to gain ground, and some top quality villas are now being built. 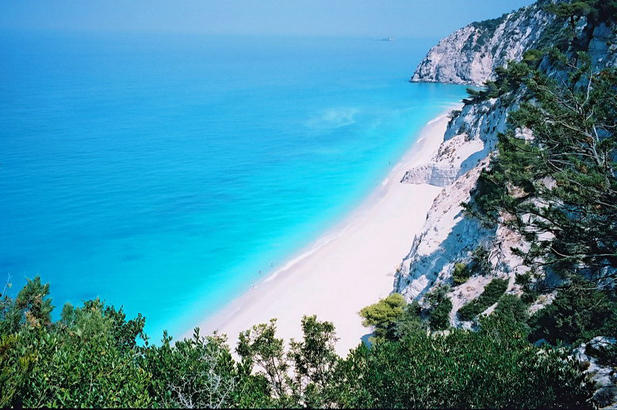 Lefkada has a couple of pretty seaside villages, Sivota and Vassiliki, but its wonderful beaches, authentic and tranquil mountain villages and virgin landscapes once one gets away from the spoiled areas like Nidri, are what are beginning to attract top end visitors all over Europe. 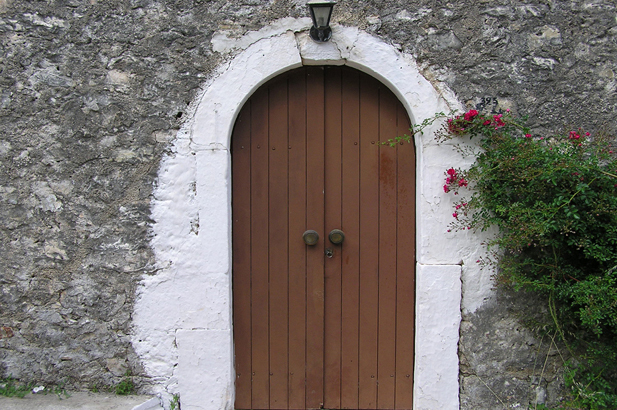 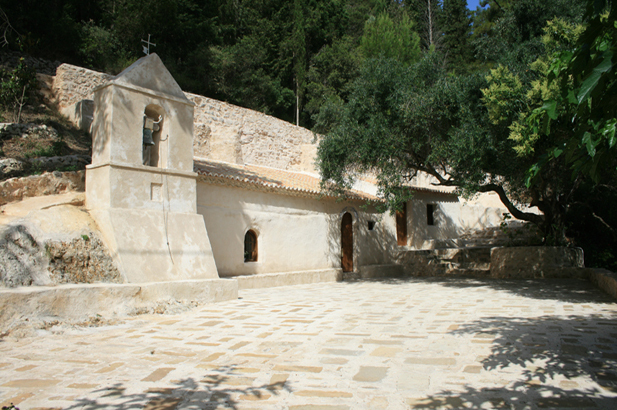 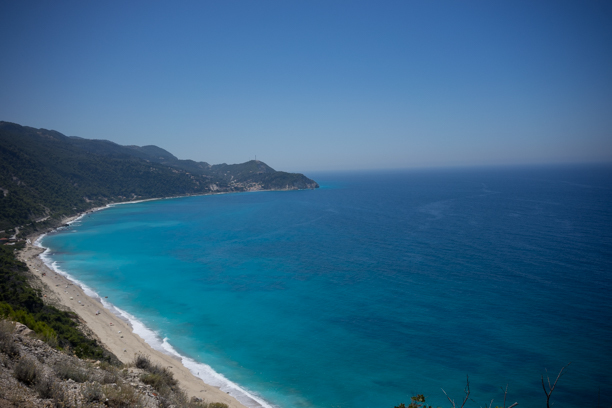 www.lefkas.net is a useful website. 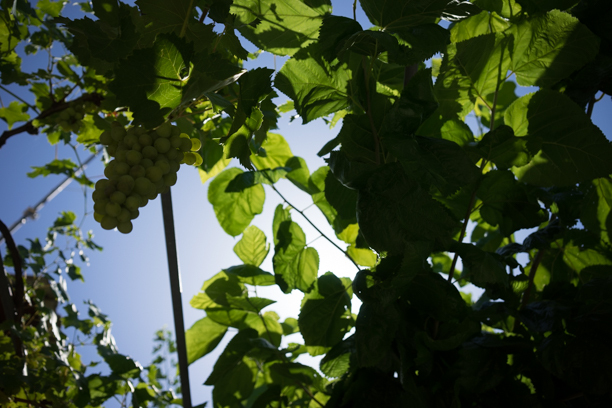 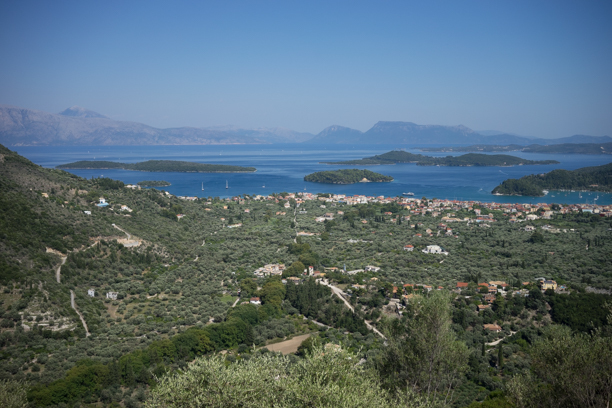 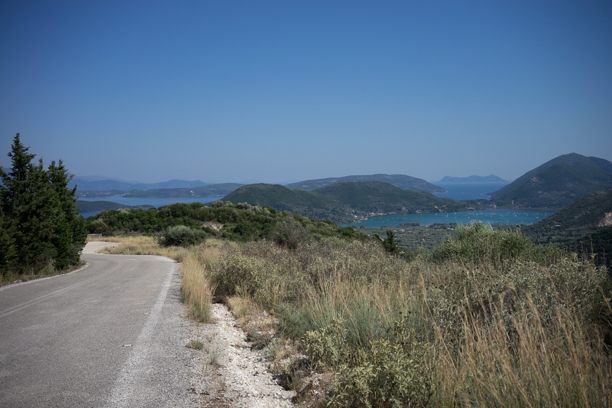 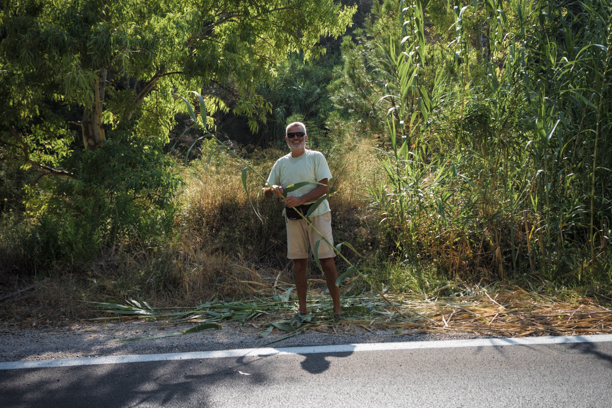 Exploring north west Greece, calm swimming, boating around the archipelago of small islands and local produce (Lefkada was a mainly agricultural island until very recently). 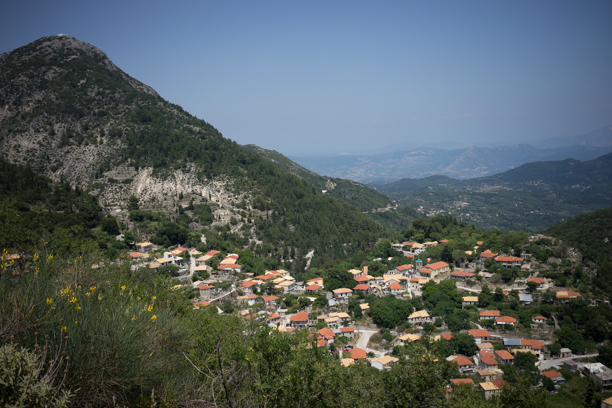 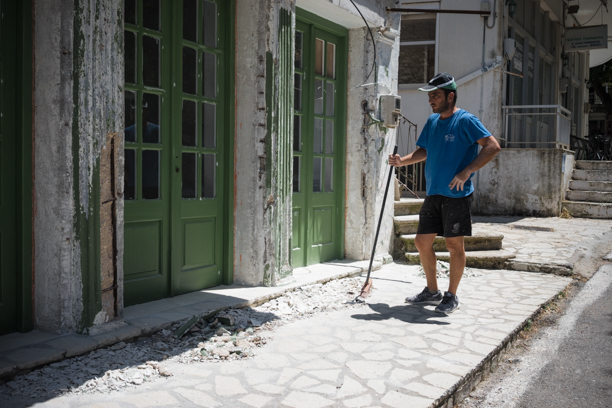 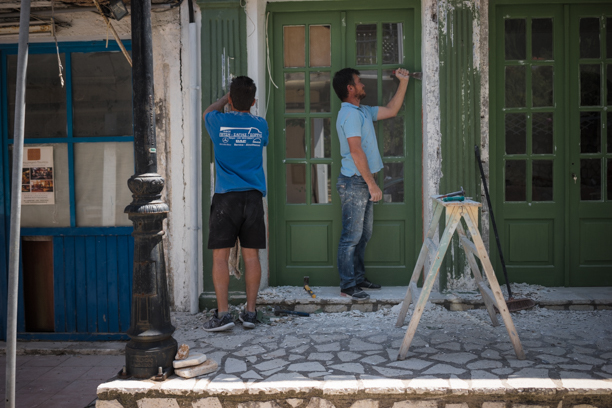 The old parts of Lefkada town with their pastel-painted corrugated iron roofs and hidden sprinklings of old Venetian belfries and churches. 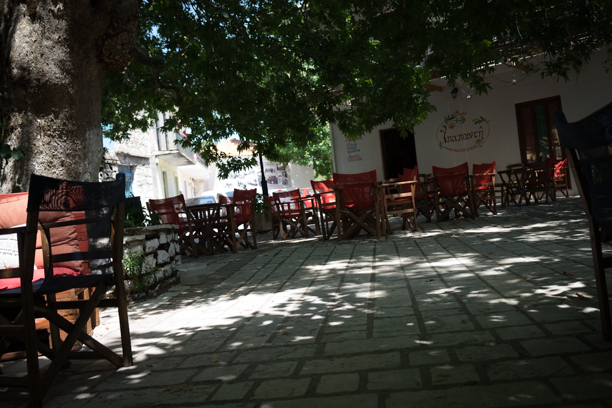 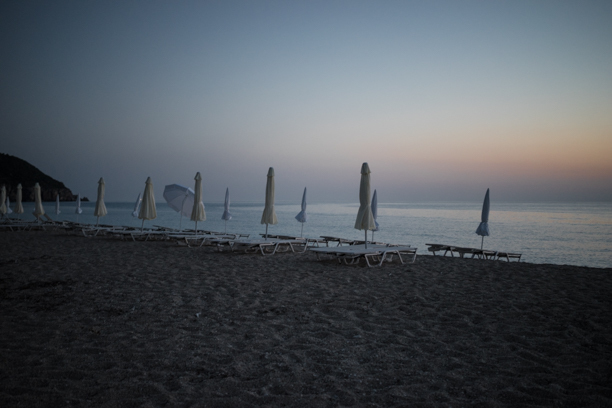 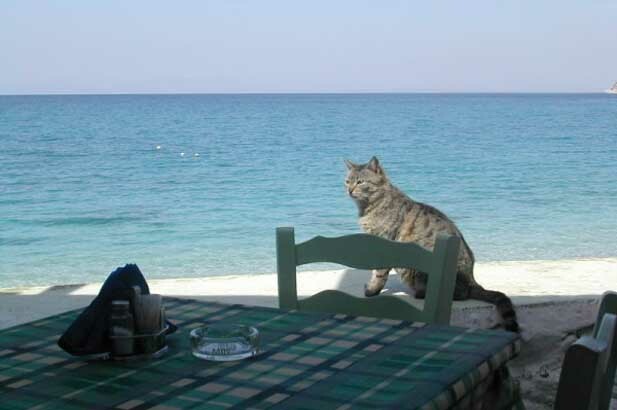 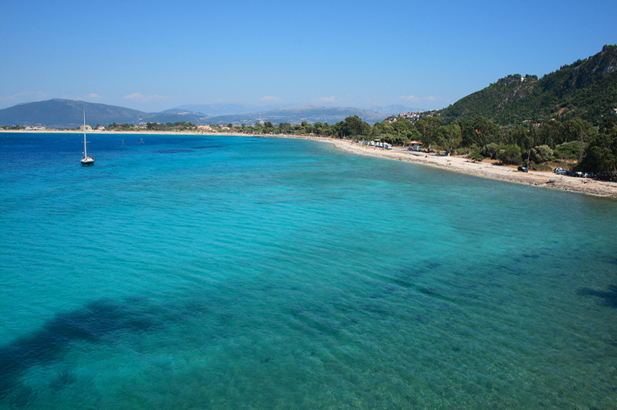 Beaches: endless Pefkoulia has a bar, a taverna and beach chairs and umbrellas. 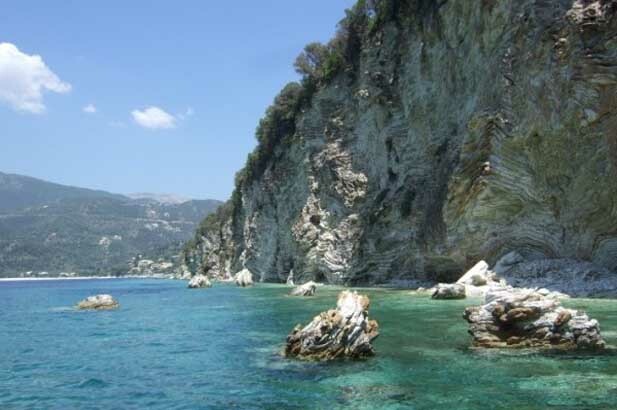 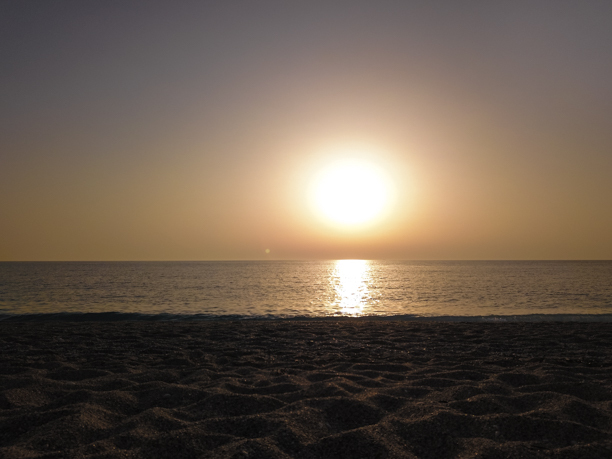 Pretty Agios Nikitas has a popular sheltered village beach with decent snorkelling and great access to all the tavernas - hop in the taxi boat or scramble over the rocks and you find beautiful long stretches of sandy beach either side of the cove. 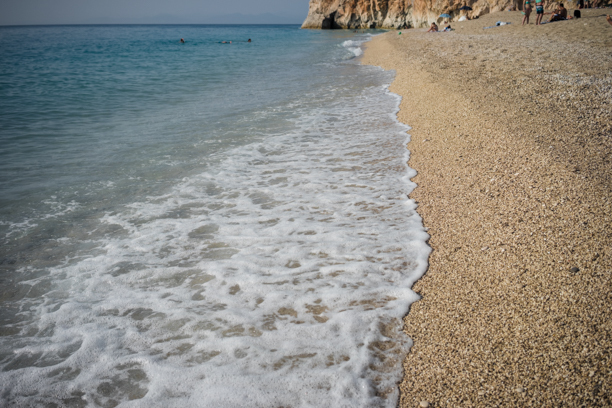 Drive a few minutes longer to Kathisma, a stunning, endless stretch of clean sand stretching for several miles. 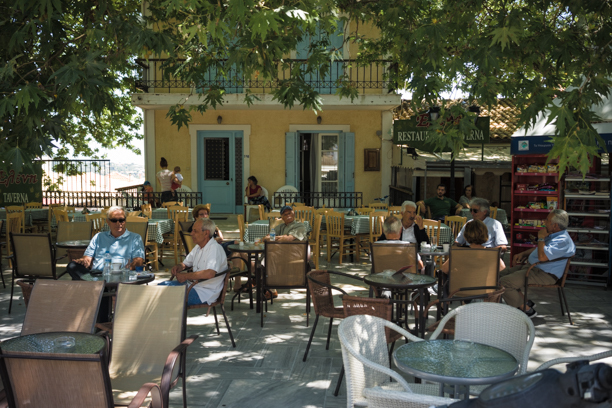 There you'll find several tavernas and The Beach Club, one of the coolest beach bars. 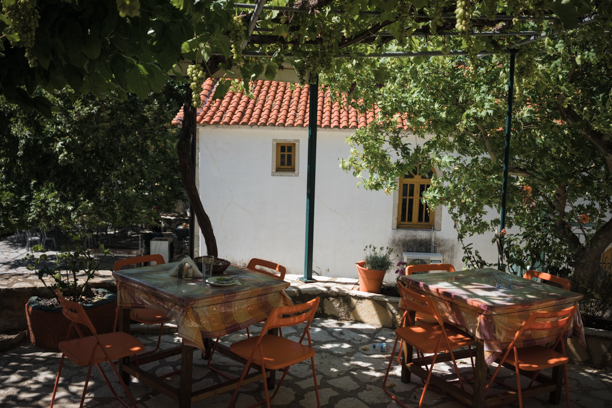 Try Kalamitsi, and the jewel in the west coast crown - Porto Katsiki. 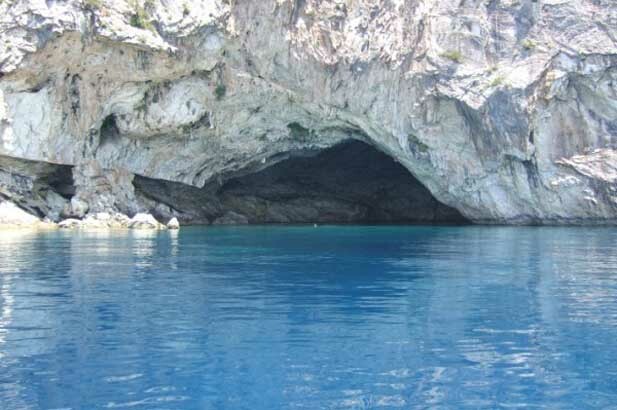 Lack of cultural tourist attractions, poor level tourist development around Nidri. 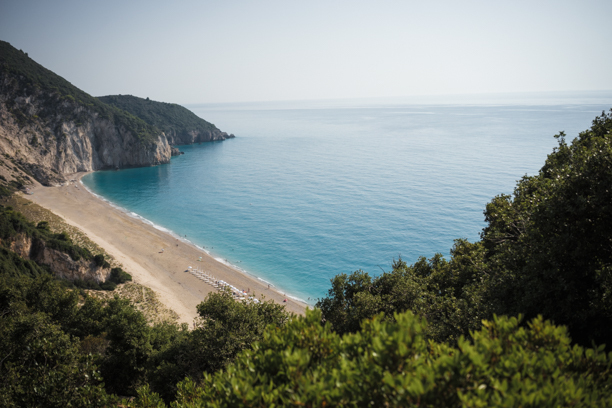 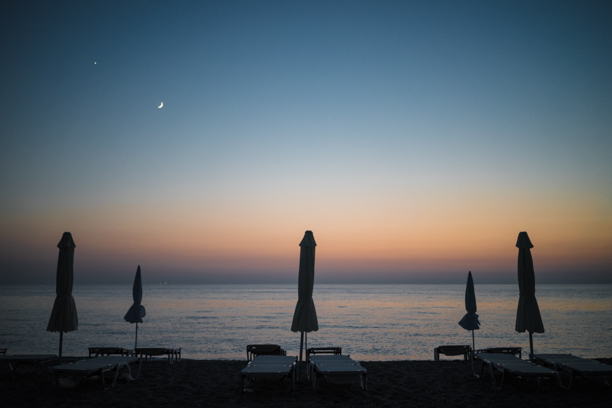 Beach bums, lovers of clear calm seas, those wanting home-cooked meals in small tavernas, those wanting peace and quiet, seasick prone types who want to go to an island by car, those wanting to explore unspoiled mountain villages and buy local honey and rugs. 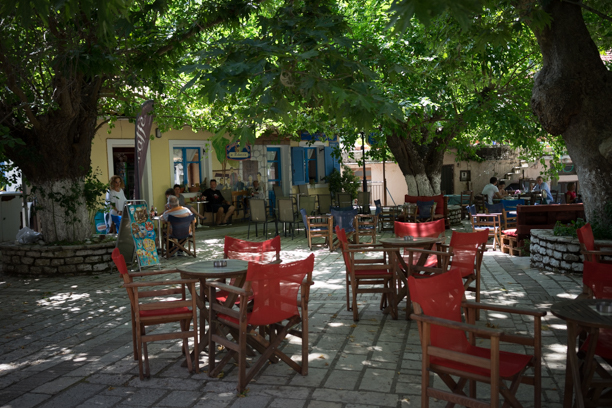 Seekers of stylish scenes, elegant cafes, those wanting hip shops. 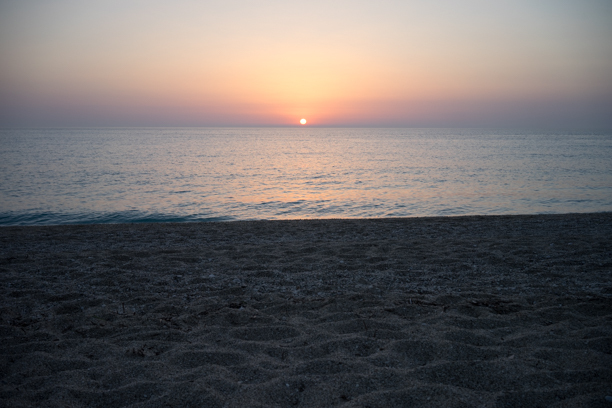 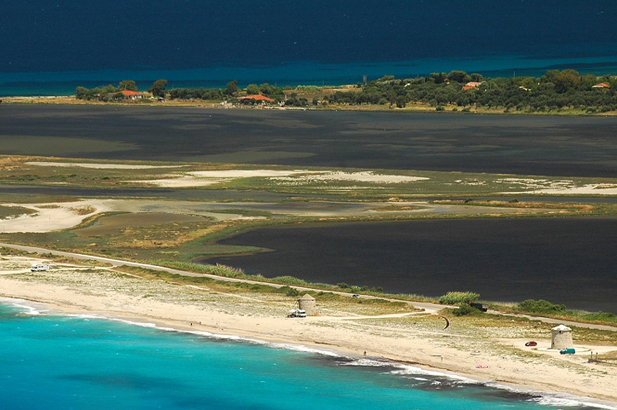 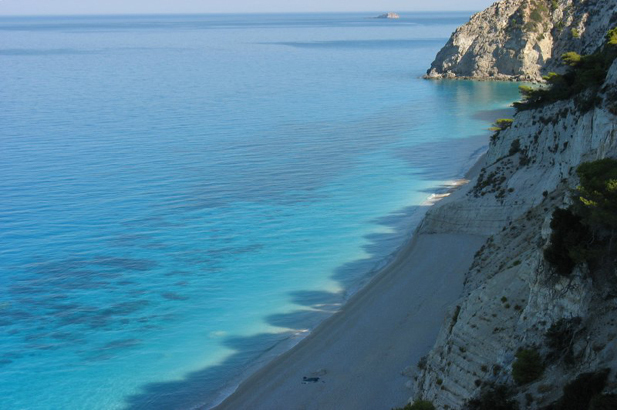 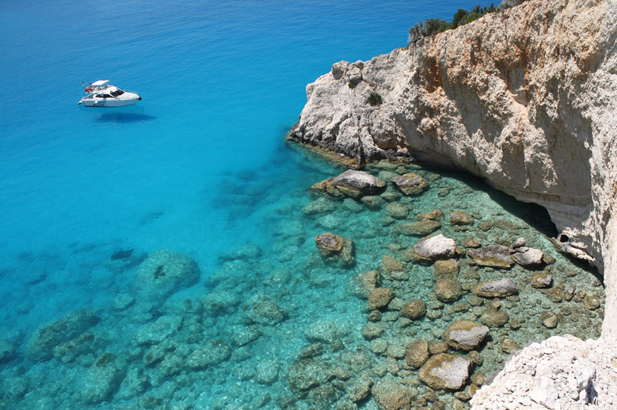 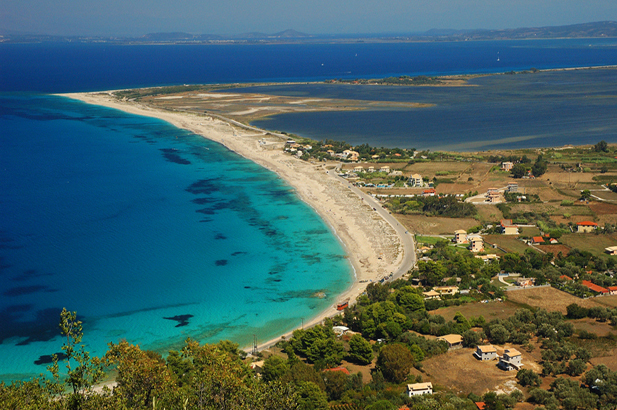 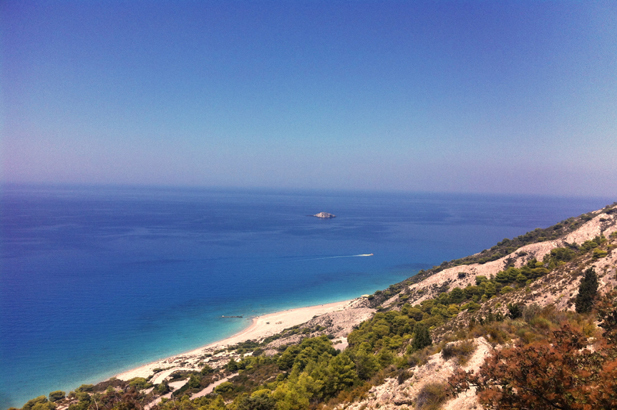 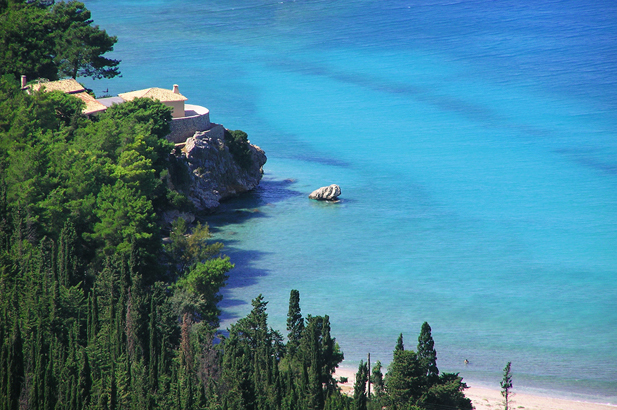 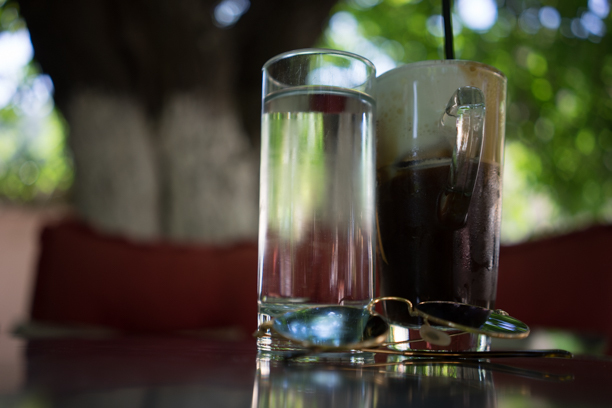 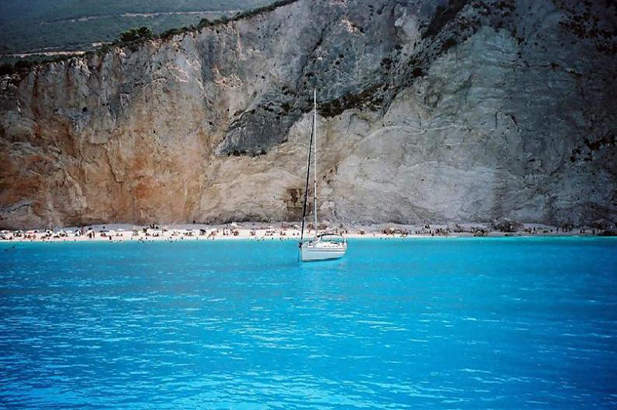 Lefkada is not a chic island - yet. 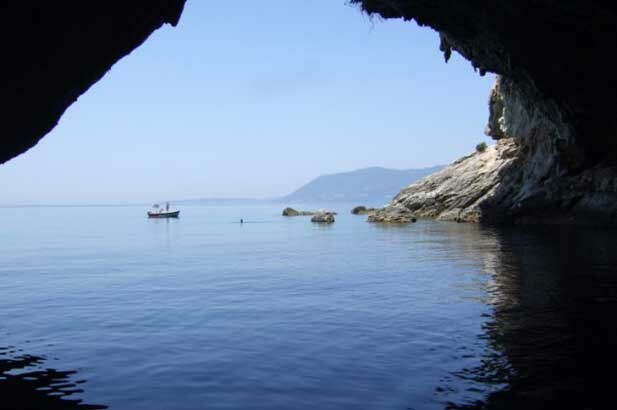 A boat trip to the Blue Grotto of Papanicolaou on Meganisi, a trip to Skorpios, the lovely little island with an 18th century villa on it outside Nidri belonging to the poet Vaianos. 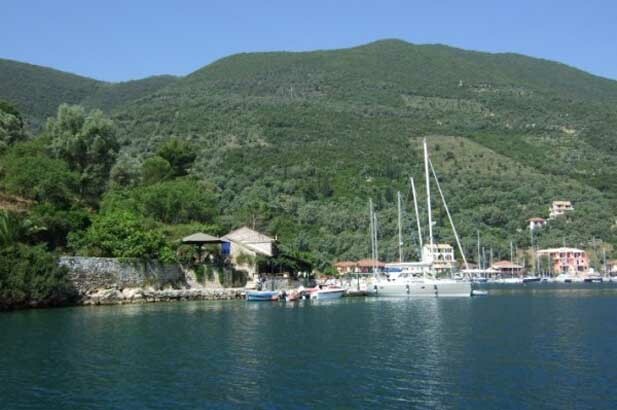 Or visit the pretty little yachting harbour of Sivota in a natural enclosed bay - it escaped the depredations of 19th century pirates as it was invisible from the sea - 21st century pirates are harder to escape though! 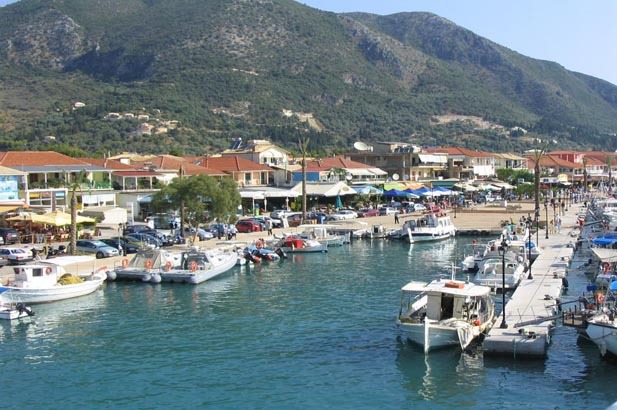 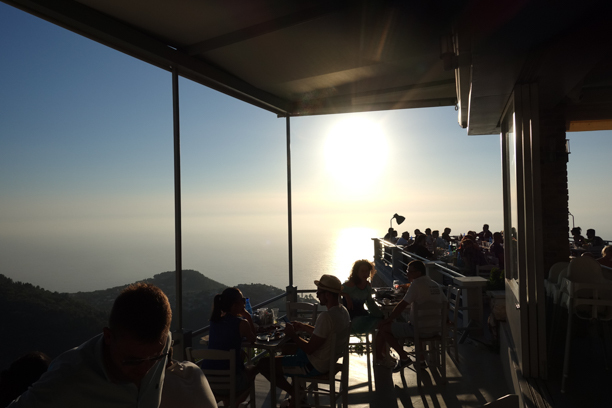 Geni is a pretty peninsular with some tiny pebble coves picturesque little tavernas, and stunning views. 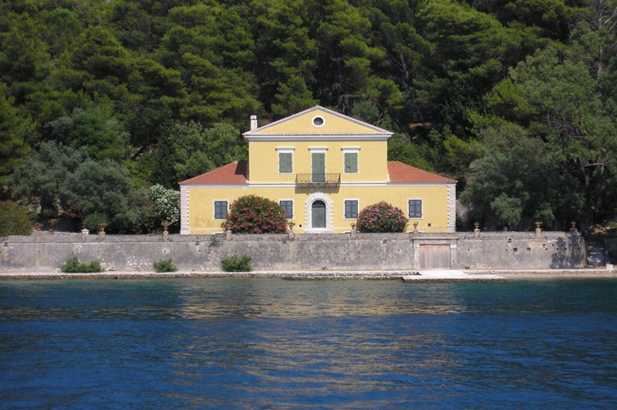 The world windsurfing championships are held at Sivota. 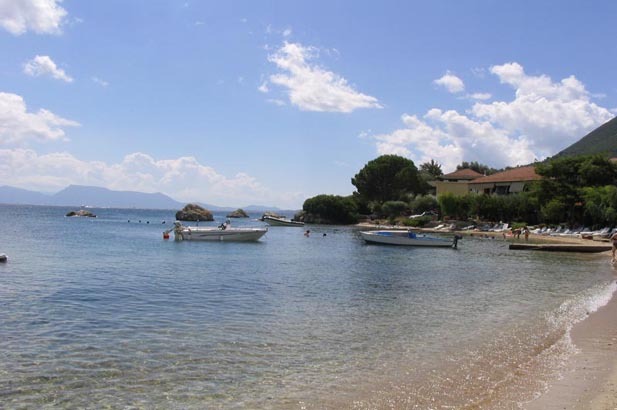 Water sports and boat hire from Nidri, wonderful boating, snorkelling, driving in the mountains and day trips to the sprinkling of beautiful islands in the area - Atokos, Arkoudi, Ithaca, Meganisi and Cephalonia. 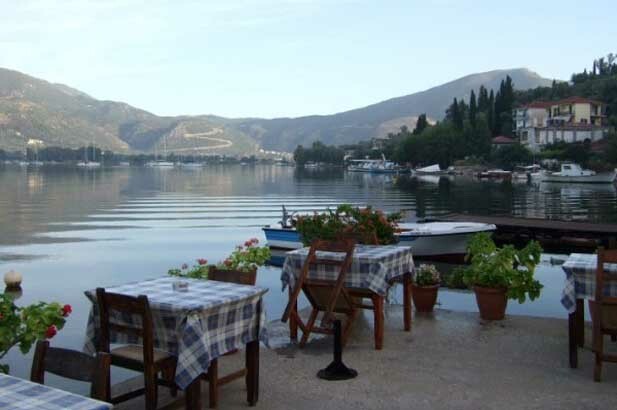 Take advantage of the road connection and try a day trip to Delphi, up to the Zagoria mountains or even Meteora which is three hours away. 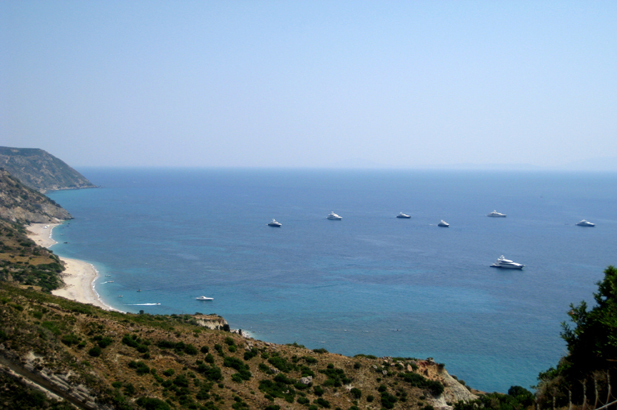 The yachting scene is in full swing and August is crowded. 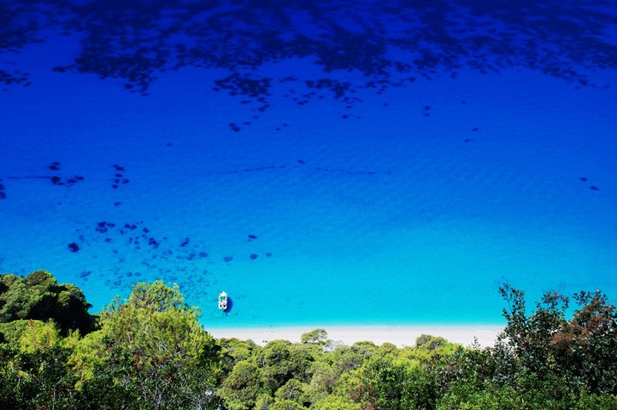 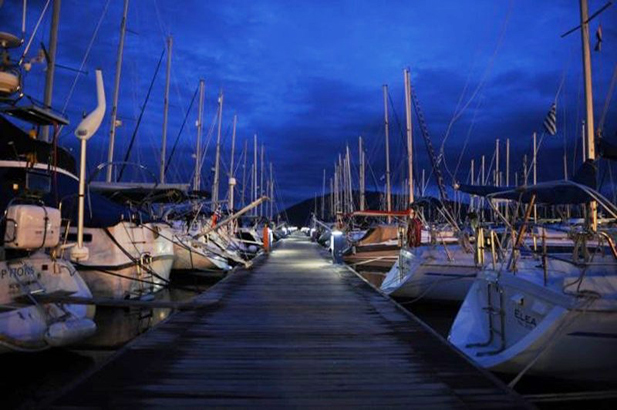 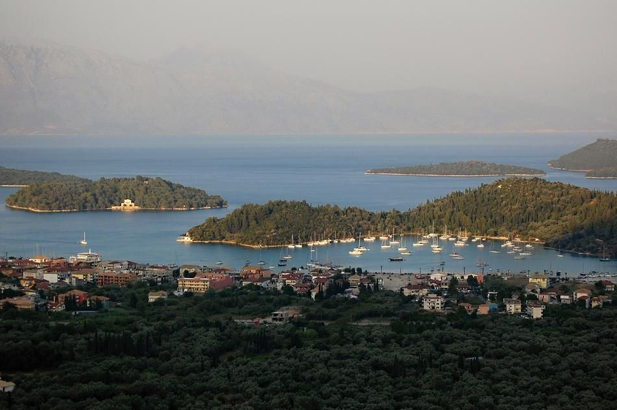 The sailing flotillas based in Sivota and Vassiliki keep going till early October. 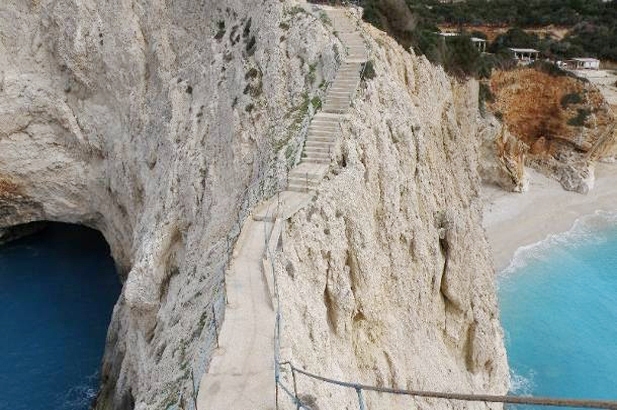 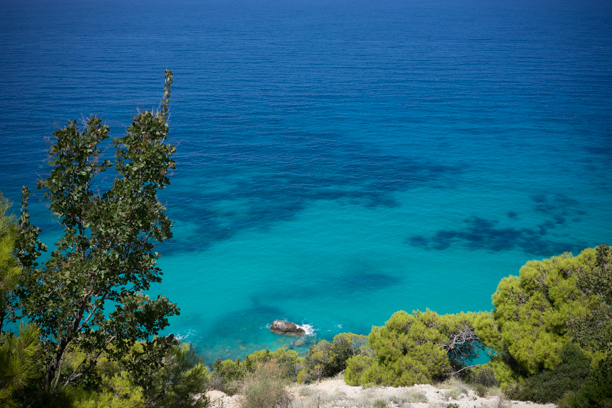 Walk the many paths with wonderful views, and enjoy the beaches all on your own.